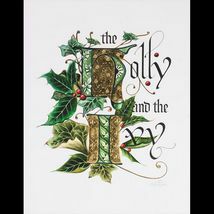 GildedAgeGreetings.com collects personal information to provide the unparalleled service that you have come to expect as a client of Gilded Age Greetings. All information that we gather is used to provide us the means to facilitate transactions, allow account registration and to support your customer relationship with Gilded Age Greetings. Your personal information is for internal use only and will not be sold or shared outside of Gilded Age Greetings and it service providers. Transactional emails, those containing order confirmation information or shipping details which facilitate an agreed-upon transaction, will be sent at the completion of each purchase. You cannot opt out of receiving these emails. Due to their transactional nature, these emails are exempt from most provisions of the CAN-SPAM Act. Gilded Age Greetings is extremely selective in sending out non order related email communications with our clients. You may at any time request to opt out of such non order emails. To unsubscribe, use the unsubscribe feature located on such emails or by calling our customer service department. Gilded Age Greetings is committed to your security and privacy. Our clients privacy is of utmost importance to us. We do not share any of our clients information with any business or person, who is not directly related with your purchase. We pride ourselves on our commitment to your privacy.